Fruit flies are annoying tiny critters. They are tinier than common flies and therefore make less noise. It can take you a while to see them hanging around overripe fruit. These insects are bound to increase within just a few days. In fact, the life cycle of these flies is so fast that they’re turning out to be a favorite research subject for geneticists. Known scientifically as Drosophila, these little creatures allow geneticists to experiment with genes and see the result several generations later, or within a few weeks. Consequently, you should efficiently and without delay get rid of fruit flies from your home. Keep on the alert during the summer season, or, if you are living in a warm climate, all year through. While fruit flies aren’t among the most perilous of flies, ingesting their larvae and egg isn’t a good idea, and can lead to diarrhea and stomach aches. In some instances, these flies can move between kitchens, sewage and drain creating an even greater health risk. The best way to keep pests at bay is to keep a clean house. If your kitchen remains clean, fruit flies will have nothing to be drawn to. They love the smell of vegetables and fruits, particularly those that are going bad. If you want to keep them away, just ensure that your kitchen is squeaky clean. Use antiseptic to clean the worktops every night, and without delay clean up any spills. Take the time to clear food out of garbage can in your kitchen, and ensure that your garbage can lid is spick-and-span. You can additionally pour a splash of bleach into the bottom of your trashcan. Fruit flies can’t resist cold temperature. So, when they invade your kitchen or any room, switch on the air conditioner, and keep the windows and doors open to allow them to escape. Check your outside compost bins, trash cans, and coolers. 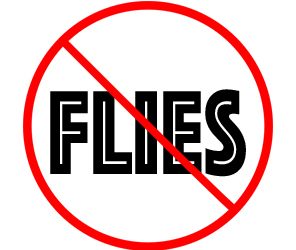 These will naturally collect flies, so spray them with pyrethrin spray to keep them at bay. Admittedly, fruit flies can be very embarrassing and can be hard to ward off. Once you get rid of them, you must do your best to keep your house clean, so they do not come back. They’re relatively easy to exterminate; it is keeping them away that’s tricky. I wish you luck and hope your fruit flies problem gets resolved! If you continue to have issues, call us at crazylegs pest control in your city.